The debate over Brexit has already made history of international affairs. Yu Jie (Cherry) notes that it is very rare for China, Japan and the United States to agree with one other on issues of international politics. However, all three countries share the view that Britain’s future is in the European Union. Notably, president Xi Jinping has joined other major world leaders and openly voiced that he too would prefer for the UK to remain in the EU. There is no doubt that a potential Brexit would be a huge blow for the already troubled Chinese economy and an imminent test to Beijing’s foreign policy capability. It would also pose a serious challenge to President Xi’s personal governing capacity as a strong leader. China has been very clear on what it wants from the EU and the UK—full market access is an essential part of the EU-China relations and the foundation of the “Golden Era of UK-China Relations”. A full market access to the European Union is vital to sustain the“L” shape of China’s economic growth, as indicated in Beijing by the so-called “authoritative insiders” at the People’s Daily. Even from the British side, some senior politicians, such as George Osborne and Philip Hammond, have made it clear that Britain wants to be “China’s best partner in the West—a gateway to Europe”. A potential Brexit would diminish the hope of both the British and the Chinese in placing the UK as a spring board to the whole European market. In recent years, the UK has gained a full taste of Chinese investments across various sectors: from everyday consumer goods to an avant-garde civil nuclear project. No matter if it’s eating one’s Weetbix cereals or drinking tap water, getting a black cab or driving one’s MG Rover to work, Chinese investments have already quietly entered the everyday life of nearly every single British household. Without the EU membership, the UK would lose its attractiveness to these major Chinese corporates which have already invested in the UK and those companies that intend to invest in the near future. The UK is currently ranking as the second most popular investment destination for the Chinese (Greenfield investments and M&A activities among the 28 member states of the EU). Chinese enterprises, regardless of their ownership, have favoured the open, well-regulated and robust UK market. “The UK’s membership within the EU is a vital factor when the Chinese entrepreneurs decide to put their money in the UK”, referred by a Chinese Real Estate Mogul. The UK’s continuous membership in the EU can also help China in dealing with trade disputes between Beijing and Brussels. China and the EU have long been at odds with each other over trade and Market Economy Status (MES) issues. In particular, the MES has remained a permanent obstacle to further EU-China “Comprehensive Strategic Partnership”. In Beijing’s view, granting China the Market Economy status is not only a matter of political recognition by the EU. More importantly, it would certainly be a relief to China in dealing with its long-standing issue of excessive industrial capacity. In the long run, China would have to pay a hefty price, both economically and politically, for not addressing its industrial overcapacity in time. Laying-off a large number of workers in non-performing industries will surely be a source of social discontent, which in turn, could destabilise the ruling elites of the Chinese Communist Party. The UK, as a services-oriented economy, under both Labour and Tory governments, has long been a strong advocate for China within the EU, especially when it come to granting it the Market Economy Status. Given the recent rejection of China’s plea in this matter by the European Parliament in May, Beijing does not want to lose a strong proponent of its cause in Brussels to overcome this long-standing obstacle. A potential Brexit would also casts a very unexpected and dark shadow over President Xi Jinping himself. The UK is traditionally viewed by the Chinese as a colonial empire and a great power. The historical humiliation of the Opium War is still very much in the mind of both ordinary Chinese and elites. 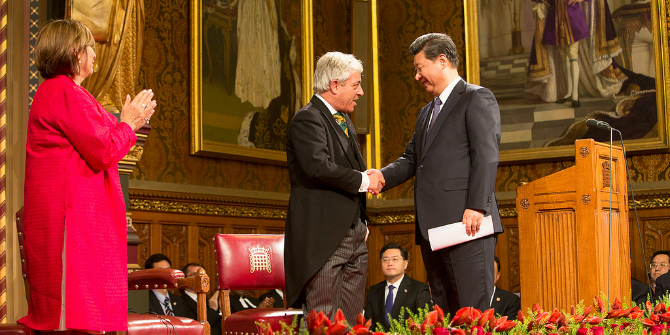 President Xi considers the so-called golden-era of UK-China relations are one of his major diplomatic triumphs since he came to power. The Chinese state media have meticulously reported how the UK rolled out the reddest of the red carpets to welcome President Xi together with other exuberant royal treatments during the state visit last October. Such exposure has certainly boosted his personal image as a strong leader back home. However, a potential Brexit would only undermine his authority back in Beijing. Some senior Communist Party members may start to criticise him due to the current economic slow down in China. He could also be accused of being too focused on the ceremonial matters in foreign policy and not paying enough attention to the ever mounting economic challenges domestically. Perhaps there are two lessons China could learn from the current referendum debate. Firstly, the Chinese Communist Party could see the danger of externalising internal political Party conflicts, like the UK Conservative Party has done. It would only be a recipe for disaster that could damage the country, as well as generate smore political uncertainties, and undermine the country’s global influence. Secondly, Beijing has only recently shifted from the periphery to the centre of the global stage. It lacks sufficient experience in articulating its foreign policy from meeting immediate economic needs to a more wide-ranging and forward-looking policy agenda. In the case of China-UK bilateral partnership, simply relying on investments would not automatically translate into a fully-fledged strategic partnership with London. Against the background of a potential Brexit, Chinese investments, the very foundation of the partnership, can’t serve as solid political capital to advance the relations between Beijing and London in the future. Overall, a vote to remain would allow China to further advance its “golden era” partnership with the UK. A vote to leave, meanwhile, would bring tremendous economic and political uncertainties to China putting its recent engagement efforts into doubt. 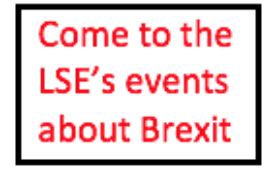 This article represents the views of the author and not those of the BrexitVote blog or the LSE. Image: House of Lords 2015 / Photography by Roger Harris. This image is subject to parliamentary copyright. 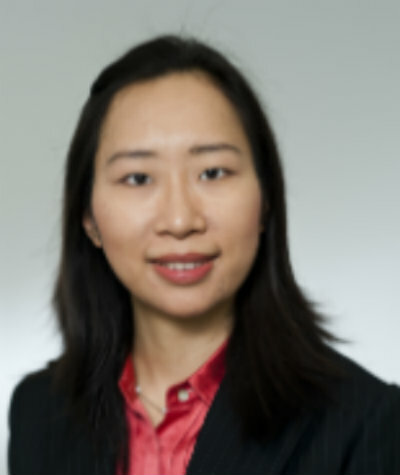 Dr Yu Jie (Cherry) is China Foresight Project Manager and Dahrendorf Senior Research Associate at LSE IDEAS. Her research focuses on Decision-making process of the Chinese Foreign Policy and broader issues on China-EU Relations. 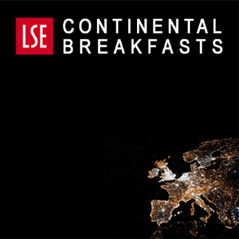 Prior to LSE, she was a management consultant and China Desk at Roland Berger Strategy Consultants, Gmbh and worked extensively with European conglomerates and Chinese State-owned enterprises.